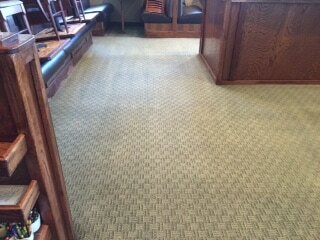 As you can see in the photos above, this is a demonstration of what our Carpet Cleaning Services can do for your home. 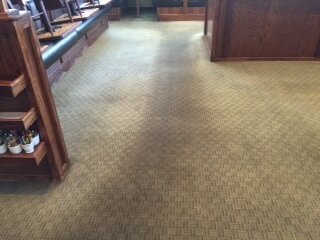 This Carpet was not treated with anything at all before we Cleaned it, which shows the amazing restoration this Carpet received! Our Fort Collins Carpet Cleaning process is simple. We vacuum your carpets when we arrive to prepare them for the Carpet Cleaning, then we spray our non-toxic chemicals on the Carpet to prep the surface to release the dirt that is trapped deep down in the fibers. Once that is complete, we thoroughly Steam Clean the Carpet, treating Spots, Stains, and Odor if necessary. Our customers are always amazed at the results from Cleaning their Carpets, as well as our stellar and friendly customer service. The video below shows a bit more about what how we perform our Carpet Cleaning Services. Give Fort Collins Carpet Cleaners a call today at 970-422-1601 and see what we can do for your Carpets!